Sales Training : "I don’t need training. I know how to do my job"
And so on. There are always a few grumbles, more so from long-standing employees who’ve been ordered to attend by their management. For new sales trainees it’s different: sales training is part of their induction so they accept it, often with relish. But for anyone who’s been in their job for many years it can be difficult to understand why the boss could have stooped so low as to put them forward for sales training. Alarm bells might be ringing if they feel they’re being targeted for under-achievement, and some start worrying that their jobs are in jeopardy. And there are always a few who simply feel that they know everything there is to know and so the training is an inconvenience, a disruption to their routine which they could really do without. We don’t mind. Really. We know that within an hour those grumbles will be left behind along with any fearful, sweating anxieties, and that at the end of the day the handshakes and smiles will be more enthusiastic, more heartfelt and far more relaxed and optimistic. If you’ve been asked to attend a sales training course – whether that’s at a hotel way out in the sticks, or in a room at the office which no one’s ever seen before – then providing the course has been put together with the best interests of you and the business at heart, there’s nothing to worry about. You’ve nothing to lose, everything to gain. Training shouldn’t be seen as a burden. It’s as an opportunity: to increase your knowledge, your expertise and your value to the business, to discover more about your abilities than you ever knew, and to equip yourself with new and sharpened tools that will empower you to be even better than you already are. Sales-based industries are driven by innovation and constant change, and the Retail Industry is no exception. 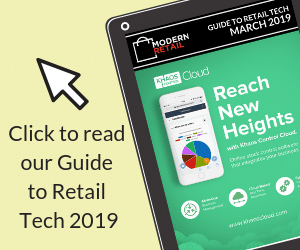 We know that products and technology change rapidly, but so too do customers and their buying habits, and these changes can reveal themselves in the retail space within a matter of weeks. Customers are much more informed than they were ten or even five years ago. They can compare prices and buy from your competitors at the tap of an app, even whilst they’re browsing in your store. So if you’re still selling to people the same way you did back in the pre-smartphone days, then the chances are you’re losing sales, which means that your business is losing out on revenue. If at the same time your competitors are gaining sales, then your profile amongst your customer base is diminishing. There’s a danger that your shop is no longer being seen as a primary destination for the products and services you sell, and that’s the thing that really puts your job in jeopardy, not training. What can you do when more customers push you for a discount, day after day? Well, in simple terms, you sell value rather than cost – in other words what your customer gains (benefits of buying from you) rather than what they lose (say an extra ten quid on the price). Which sounds fine on paper. Easy. But how do you do that in the real world? How do you sell the value of a thing in your shop on a Wednesday morning when you have a loudmouthed customer telling you repeatedly that it costs more to buy from you than it does for the same thing online? How do you sell to customers who just seem to be using your store as a showroom for something they’re going to buy off the internet, and do so in a way that doesn’t compromise your excellent customer service? Understanding why customers behave in certain ways, and what you can do to influence them, is a core component of great sales training, and taking advantage of any training opportunity you’re given will only help you. Maybe you lost a few sales recently. A few customers said “Let me think about that” or just simply “Thanks for your time,” and they walked out, never to return. Why? Surely you didn’t do anything wrong – did you? Attending a training session will help you identify exactly why that happened and enable you to take positive action to limit it happening again. If training helps you convert just one more customer every day then it’s working to help you become more productive, more efficient and as such more valuable to the business. You’re one step closer to realising your true potential, and that benefits not just your employer and your customers, but you too, because these are now your skills, this is your expertise that you’re building. Which leads me onto this final thought: If your manager has asked you to attend a sales training, it’s because they’re investing in you and your development within the business. They’re investing in your career. Yes of course they want you to sell more, and sell more profitably, and be more productive and efficient, but if they didn’t think you were worth it they wouldn’t be spending the money on you. So if you’ve been asked to attend a sales training course on your day off, don’t see it as an imposition and don’t feel threatened or insecure. See it as an opportunity to grab something that will help you raise your game and be the best, the absolute best, that you can be.